Editor’s Note: This is the first in a series of posts that will review or comment on papers published by The National Collegiate Honors Council (NCHC). E. Gordon Gee is the current president of West Virginia University and the former president of Ohio State. He is a man of many opinions, well known in the higher education community. “I know that many honors colleges and programs struggle with perceptions of elitism on their campuses, but we should never mistake an elite education for an elitist one,” Gee says. Citing New York Times columnist Frank Bruni’s much discussed piece, “A Prudent College Path,” Gee says public honors colleges (and programs) offer a place for highly talented students who have either declined admission to expensive private elites or have been denied such admission because of capricious admissions decisions. “A lower price tag is one reason. 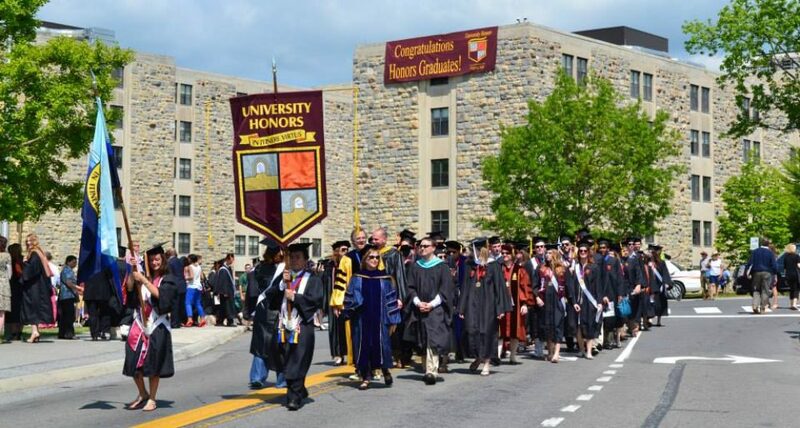 Here is another outlined in Bruni’s column: honors programs promise a more inclusive environment of devoted, highly driven students within an even more diverse campus population. “When we bring more honors students to our campus, we are raising the level of discussion in every classroom, not just honors classes. “When we have more students who know how to balance working smart and playing smart, we are helping teach all of our students how to work and play smarter. “When we have more students engaged in going first in the classroom, we create an environment where more are encouraged to go out into the world with boldness and confidence. Gee writes that the WVU Honors College enrolls more than 2,200 students, including 739 entrants in 2015-2016–up from 580 the previous academic year. Under the leadership of honors college Dean Kenneth P. Blemings, the new students begin making their contributions as soon as they arrive on campus. “All of them participated in a day of service that had them giving back to the community that they were just joining. That kind of service is good for them and for our city. “The honors commitment to service takes place not just in one day or at one place. Honors students on campuses across the country are providing great service to their communities. This entry was posted in Honors News, National Collegiate Honors Council and tagged E. Gordon Gee, honors education and elitism, Kenneth P. Blemings, West Virginia Honors College, West Virgnia University by Honorsadmin. Bookmark the permalink.